​Populations served: children from ages four+, teens, young adults, and adults. In order to effectively meet your therapeutic needs, my practice includes a combination of Cognitive Behavior Therapy (CBT) and the Developmental Model of Couples Therapy, with an overall focus on the importance of the relationship and connection between the therapist and the clients to ensure that you feel secure and heard. I use CBT to help you see your relationship in a more objective manner in order to change behavior that is unnecessary and has proven toxic for the relationship and family unit. 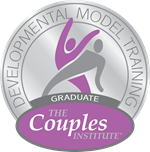 The Developmental Model of Couples Therapy utilizes understanding of what influences current relationship styles to help couples know themselves and each other better and more skillfully manage conflict.